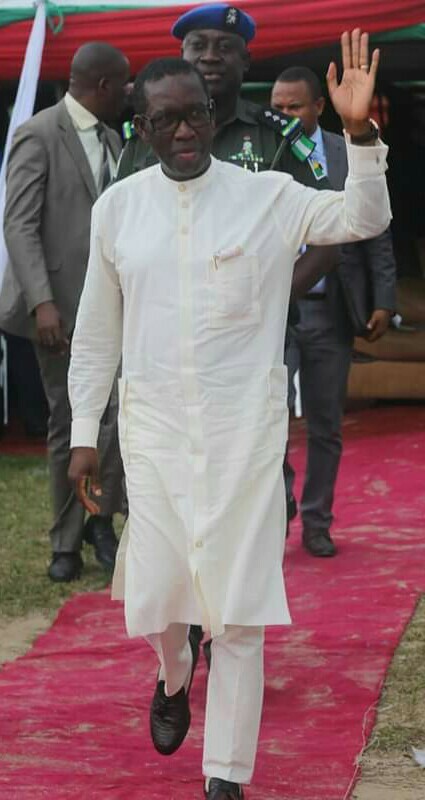 After he successfully steered the Peoples Democratic Party to what has been acclaimed as the “freest and fairest party primaries in the history of Nigeria’s politics,” Governor Ifeanyi Okowa is gradually carving a niche for himself as a jinx breaker. 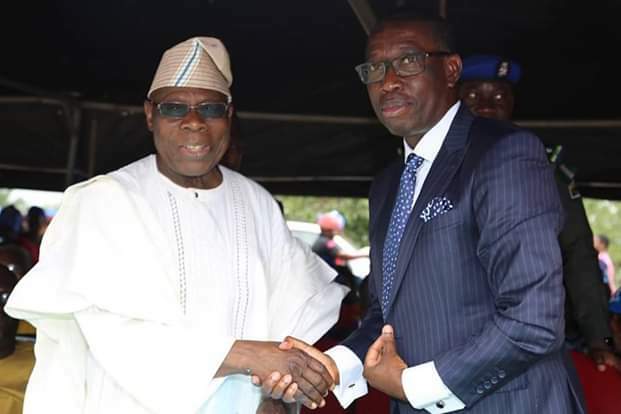 Last week, the Governor played host to former President Olusegun Obasanjo to commission three landmark projects in Boji Boji (Ika North East L.G.A) and Asaba, the state capital. Two of them, the Asaba Township Stadium (now renamed Stephen Keshi Stadium) and the Old Lagos/Asaba road in Boji Boji had inexplicably defied spirited attempts by previous administrations to complete them, leading to widespread public perception that these projects were perhaps jinxed. Today the story has changed, perhaps a testament not only to Governor Okowa’s ingenuity and managerial acumen but also largely to his spiritual approach to governance. It is no longer a secret that the Governor takes his faith seriously and engages the supernatural power of God to actualise his aspirations for the state. The Asaba Township Stadium was conceived by the indigenes of the community in the 60s before the then Mid-western Government took over the building of the stadium in 1974 under the late Brig-Gen. Samuel Ogbemudia. Colonel George Agbazika Innih as military administrator inherited the stadium in 1975 . He handed it over to his successor, Commodore Husaini Abdullahi. None of the seven other successive governors that governed the defunct Bendel State was able to complete the Asaba Stadium. Under the current democratic dispensation, Chief James Ibori officially laid the foundation for a modern stadium but, unfortunately, work could not progress before his tenure ended. While commending Governor Okowa for constructing such an edifice, the former President stated that the stadium would also provide avenue for people to exercise noting, “whoever you are, whatever age you are, you must exercise, you must be fit.” According to the former President, the stadium would boost the economy of the state even as he asked governor Okowa to add hostel facilities in the stadium for people to live in the stadium and have opportunities of training round the clock to enable them become future world champions. The Asagba of Asaba, Prof. Chike Edozien, represented at the occasion by the Iyase of Asaba, Chief Patrick Onyeobi thanked Governor Okowa for his interest in the development of Asaba and other parts of the state, observing that since the coming of the Governor, Asaba is wearing a status befitting its status as a state capital. On his part, Governor Okowa described former the former President as the father of “modern day democracy,” in Nigeria. The dualised 9.5km old Lagos/Asagba road and the Owei-Ekei / Owa-Alero dual carriageway equally suffered long neglect having been awarded by the administration of James Ibori but could not be completed until Governor Emmanuel Uduaghan came and reawarded the two contracts yet work could not progress until Governor Okowa’s administration broke all barriers to fixed the projects. At Owa-Alero were the former President was hosted by the Ika people, after the commissioning of the dualised 5.6 km Owa Ekei/Owa-Alero road, the excitement of the people was palpable. On his part, Governor Okowa said the commissioning of the 5.6 km Owa-Ekei/Owa-Alero road was long overdue even as he thanked the people of Owa where he hailed from for providing the enabling environment for Government to provide the much needed development in the area.